Zionism is a term widely used in international relations and I have the feeling many get lost in translation when trying to discuss Zionism. Some say Zionism is a form of racism because any Jew can move to Israel and settle but, say, a Catholic can’t, but then, anyone with an Italian grandparent can move back to Italy and anyone with Korean ancestors can move to South Korea, and most countries have laws along those lines. Others claim the Zionism is a form of occupation but I won’t even get into that. So what exactly is Zionism? There is the original view outlined in Theodore Herzl’s The Jewish State, a short pamphlet published in 1896 that takes about a couple of hours to read. Herzl’s view was in the long run all Jews will settle in a Jewish homeland where they can thrive and defend themselves, because Jews wouldn’t be safe anywhere else than in their homeland. 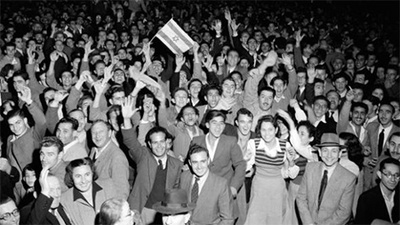 The idea that all Jews should move to Israel in the long run is one I find rather ambitious, as some Jews did move to Israel, have trouble adjusting and relocate to their country of origin or elsewhere. Some had trouble with the food, others with the language, others finding jobs, and some were uncomfortable with the idea that the norm is in Israel you usually treat total strangers like best friends and friends kind of like strangers. In sum, there’s no magic when adjusting to life in Israel, you could get culture shock as in any other country. The consensus today is Zionism is the right that Jews have to relocate to Israel if they want to, and to remain permanently in the State of Israel. This idea can be the source of endless café or pub conversations and can cause endless debates on the historical, military, environmental, political, social or economic implications this fact has. But in sum that would be the definition of Zionism. Then there are all the pundits. Pundits who make a living out of hating everything Jewish, pundits who have a lot to say on the topic, Jewish pundits who have been to Israel as tourists but didn’t actually try to make a living there and pundits who could spend hours debating the topic. And a lot of books have been written on the topic, some clear and realistic, others viewed with incorrect facts. Then there are those on the ground in Israel trying to help the country survive and thrive and people trying to survive and thrive. Too bad that last part is often left out of the debates. "...I won't even get into that." And yet, and yet, we need to go there, as uncomfortable as it might be, if one is going to present Zionism as a universal aspiration of man to have a place one can call home and not be reduced to a wandering refugee in the land of others wholly dependent on other’s charity and good will and threatened by their malevolence and refusal to accept unalienable human rights which apply to all human beings. The Exodus is either universal or it is not. To go there purposefully and clarify that conundrum means in effect to deal with the Palestinian question which has come up again at the UN recently and will continue to come up. It is to ask the question: Do Palestinians also have a universal right to have a place they can call home? ; that is to say, to have their own sovereign independent State? If they don’t, then Zionism cannot logically and philosophically claim to be universal. It is only particular, non-Jews need not apply. In that sense it becomes a matter of race. In Aristotelian logic a thing cannot be and not be at the same time; or, in American parlance, one cannot have the cake and eat it too.